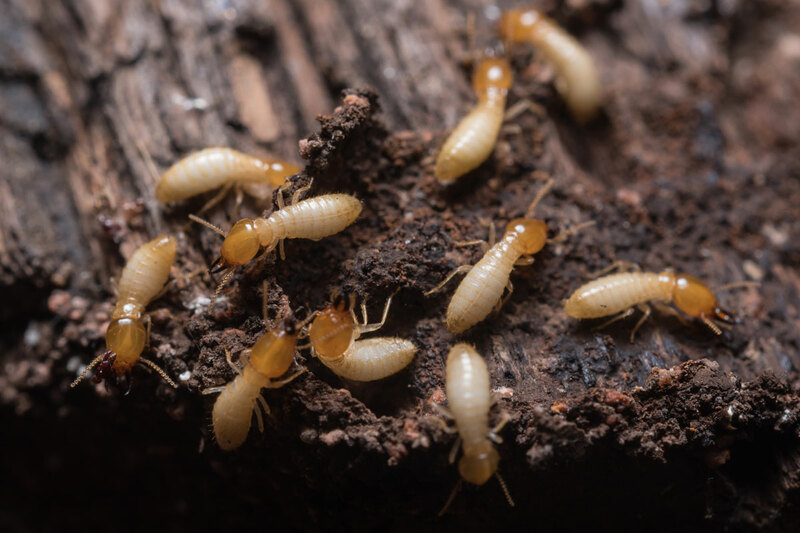 Unless you’re an entomologist or a die-hard critter enthusiast, you probably want termites as far away from you as possible – and you definitely don’t want them near your very edible home. Unfortunately, there are numerous ways you could accidentally be attracting termites, and due to their prevalence and willingness to trek long distances for new food sources, this can create a real problem. Thankfully, there are preemptive steps you can take to keep termites from munching on your abode. First of all, termites do not just eat wood. They actually eat any cellulose materials (basically anything made from a plant). This means that in addition to the wood piles that might already evoke termites in your mind, you should consider things like newspapers, cotton, cardboard – even your wallpaper! Just think of plant materials in and around your home and you’ll already be on your way to getting proactive about termites. A lot of pests relish warm, moist, and dark places. Termites are no different. Keep the moisture around the foundation of your house to a minimum by fixing leaking pipes and redirecting water runoff away from your home. It also can’t hurt to check crawl spaces from time to time for termite activity. Now, let’s get more specific about how you might be giving termites a key to your delicious home. On the ground: Wood attracts them, no doubt about it. If you have firewood or wood piles, stack them at least 20 feet away from your home and keep them off the ground if possible. If wood is leaning up against your house, a termite can make short work of infiltrating your dwelling. Tree stumps and decaying trees in your yard should also be removed. Finally, try not to keep mulch too close to your house. Mulch has a tendency to retain moisture, and food + water + heat from your house = ideal termite conditions. Above the ground: In a similar vein to the stacked firewood, if you have tree limbs touching your house, be sure to get them trimmed regularly. Trees that get a little too cozy with your house not only provide a direct pathway to your roof, but also can block the sun and cause moisture to linger. Be sure to clean out your gutters as well. It may not be the most glamorous task, but it will help to reduce the likelihood of a termite infestation. Termite infestations are preventable with vigilance and preparation. Don’t let your home become a snack; contact Palmetto Exterminators to learn more about our termite protection programs and other pest control services we offer!